All radio and internet broadcast times are listed in Central Standard Time. Check local listings for broadcast times in other areas. Minnesota Public Radio (MPR) will present a live broadcast of the 2018 St. Olaf Christmas Festival on Sunday, December 2, at 3 p.m. on most regional classical music stations, including 99.5 KSJN in the Twin Cities. An encore broadcast will air later in December. 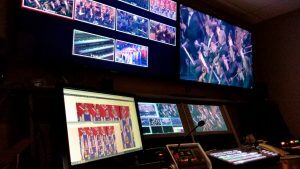 National broadcasts of the 2018 St. Olaf Christmas Festival are distributed by American Public Media. If you are outside the MPR listening area, check local radio listings to see if it will be carried in your region. The December 2 and encore radio broadcasts of the 2018 St. Olaf Christmas Festival can be heard on the internet via Minnesota Public Radio’s online streaming service. 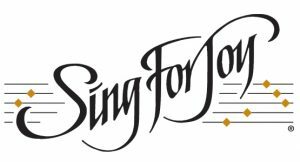 St. Olaf College’s Sing For Joy radio program produces a half-hour program of music for the Advent and Christmas season, featuring highlights from the 2017 St. Olaf Christmas Festival. Many stations across the country will carry this broadcast. Based on the overwhelming popularity and tremendous success of the Christmas Festival live stream, we will again offer a live video stream (shot with 10 cameras in HD quality) for the Sunday, December 2 performance. We’re proud to announce that the live stream of the 2018 Christmas Festival will be offered free of charge for all viewers! No matter where you are across the globe, we invite you to join us in celebrating the inspiring sounds and traditions of the Christmas season. Register now or return on Sunday, December 2 at 3 p.m. to watch the entire concert on your computer, tablet, or mobile device. The program features more than 400 choral singers and the St. Olaf Orchestra.